Store each of your proteins and supplements in this convenient, easy-to-carry stacker! True Nutrition makes taking your supplements that much easier with the debut of the *NEW* TN.com Supplement Stacker, a convenient and easy-to-use storage container that can fit up to four different materials in its separate sealable compartments. 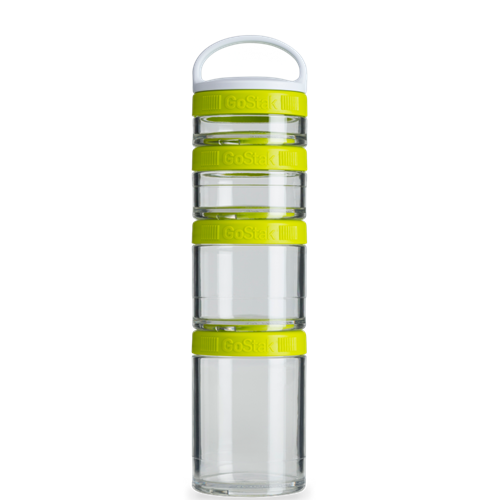 The four stackers can be hand-tightened to create an air-tight seal, using BlenderBottle®'s trademarked Twist n' Lock™ technology. Don't waste any more time with those bulky containers and powdery messes at the gym, grab a TN.com Supplement Stacker to make pre-, intra-, and post-workout supplementation that much easier today!